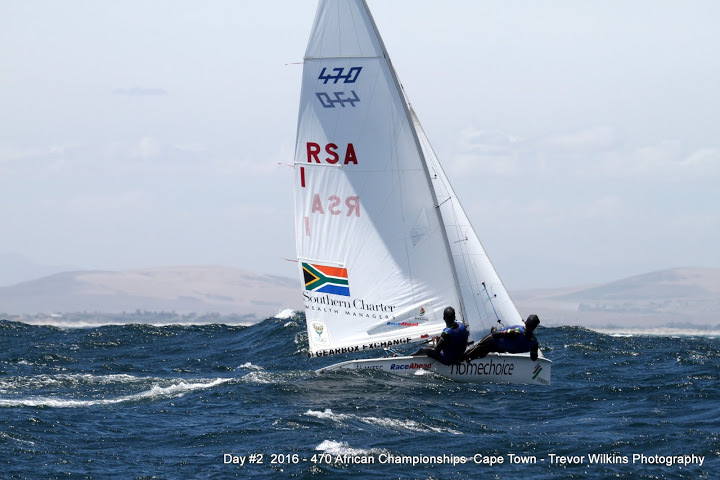 A windward-leeward course was set half a mile from shore, with wind at 20 - 25 knots, gusting upwards of 26 knots. 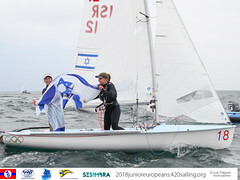 Three races were set for the day. 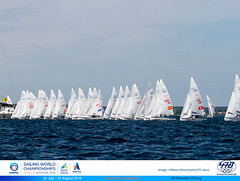 Race 1 had a clean start at 1100, with the wind laying claim to numerous capsizes. 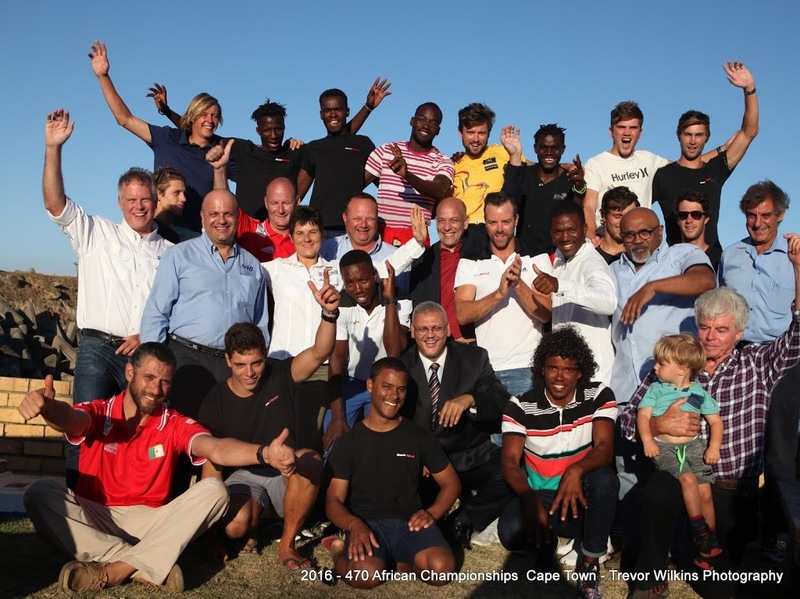 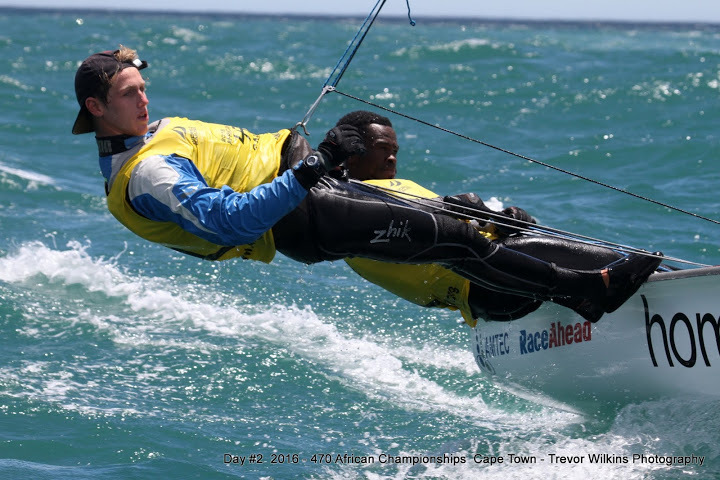 Olympians Asenathi Jim/Roger Hudson lost their win to a disqualification, resulting in the top 3 finishers being: Taariq Jacobs/Josh Rubenstein (RSA111), Brevan Thompson/Alexander Ham (RSA12), and Ryan Barnardo/ Daniel Spratley (RSA13). 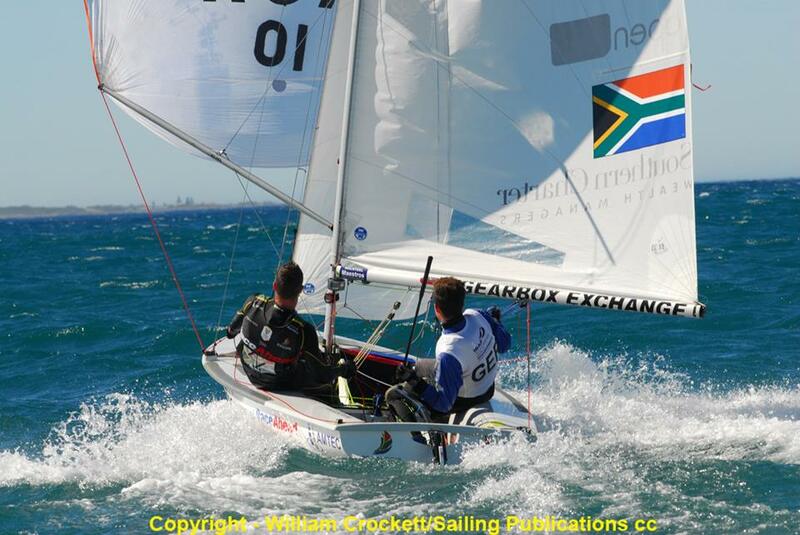 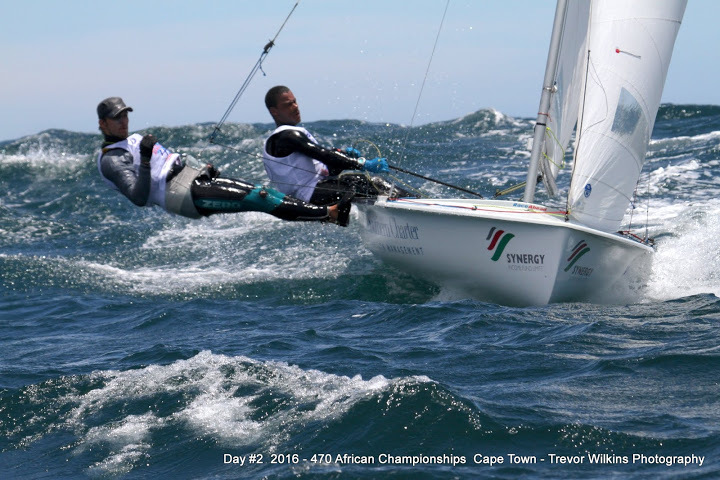 The damage continued in Race 2, with one sailor injured from a capsize. 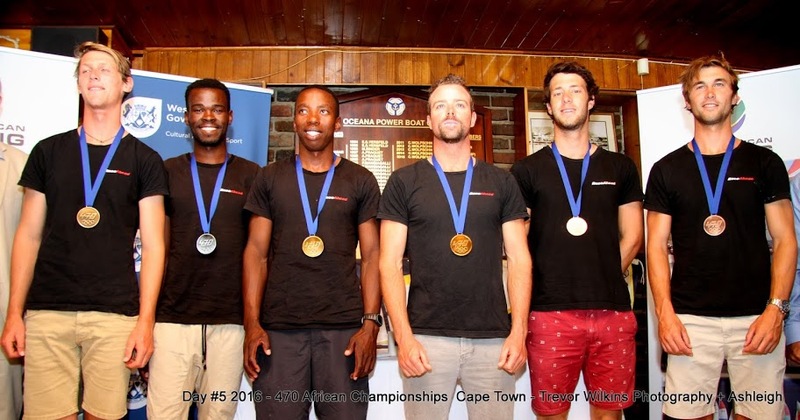 The top 3 finishers were Asenathi Jim/ Roger Hudson (RSA 1), Brevan Thompson/ Alexander Ham (RSA 12), and Sibusiso Sizatu/ Alex Burger (RSA 11). 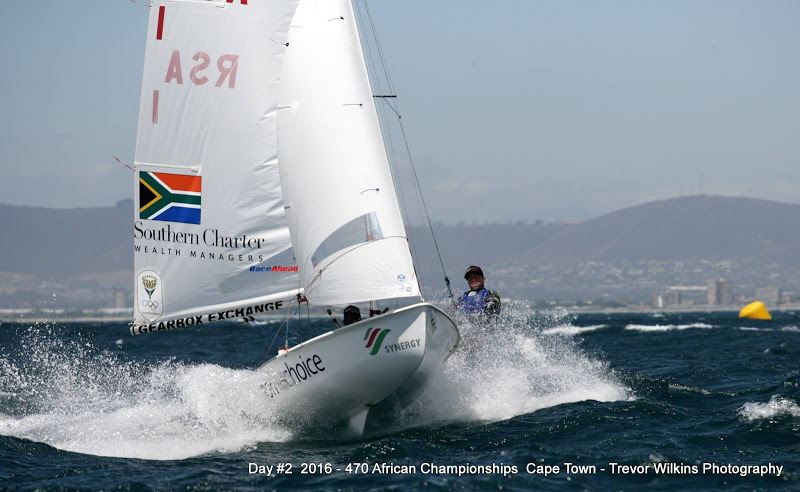 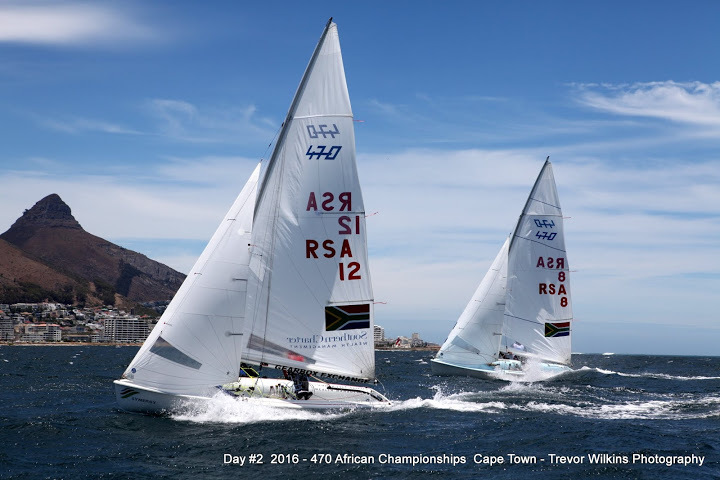 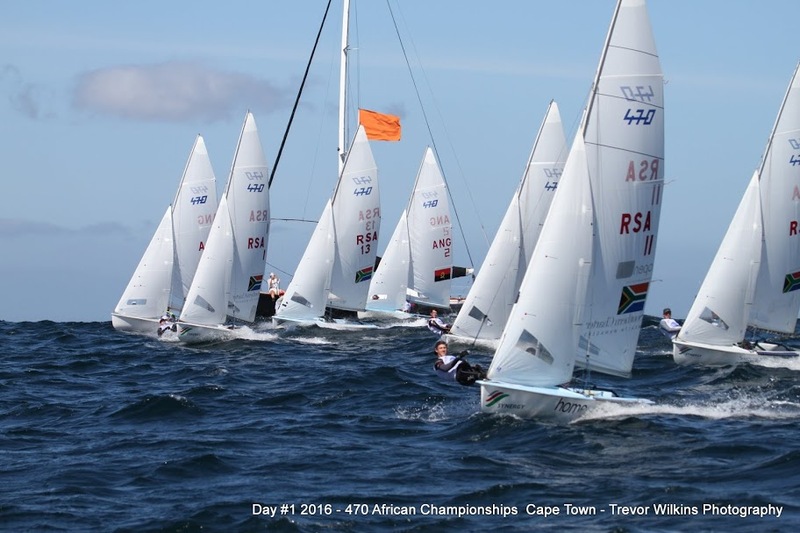 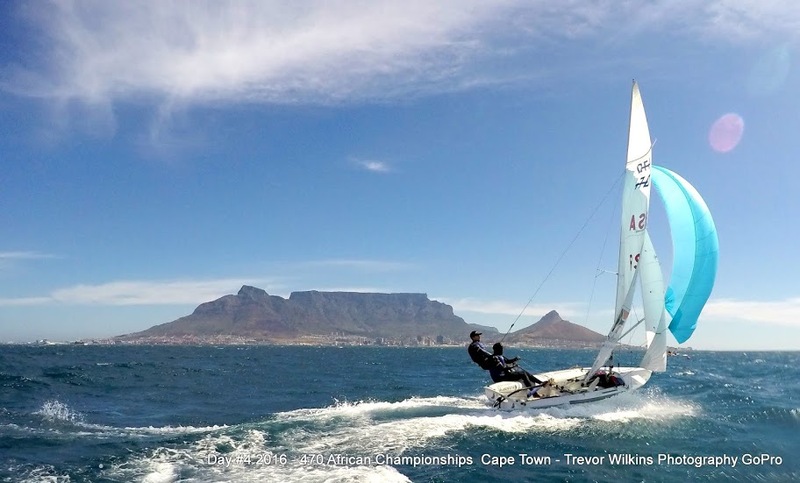 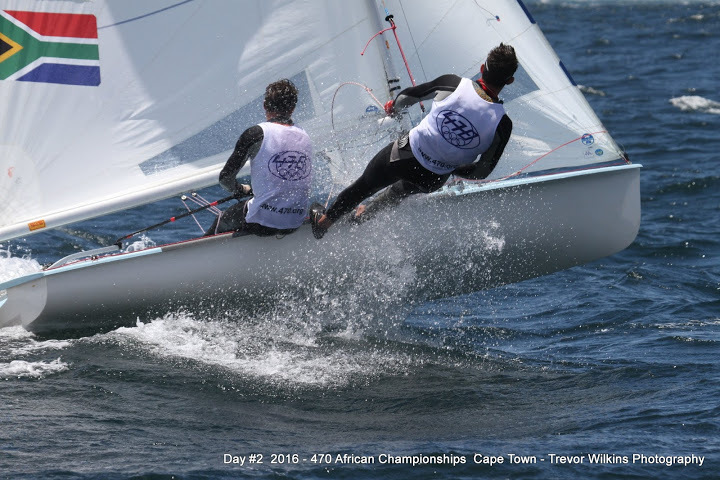 Race 3 had only seven of the ten boats finishing, and top 3 finishers were: Asenathi Jim/ Roger Hudson (RSA 1), Sibusiso Sizatu/ Alex Burger (RSA 11), and Brevan Thompson/ Alexander Ham (RSA 12). 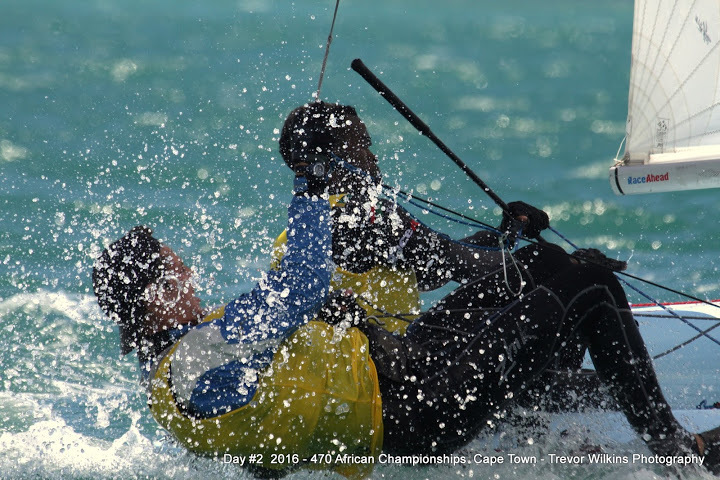 Reflecting on the day’s racing, President of the 470 International Class, Stanislav Kassarov, commented, “I was impressed by the skill level of the sailors, as it’s not easy for many sailors to sail in such strong winds, but obviously the South African and Angolan teams were more than capable of mastering such conditions. 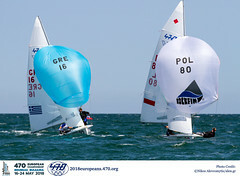 We had good racing, and we’re looking forward to tomorrow’s two races”. 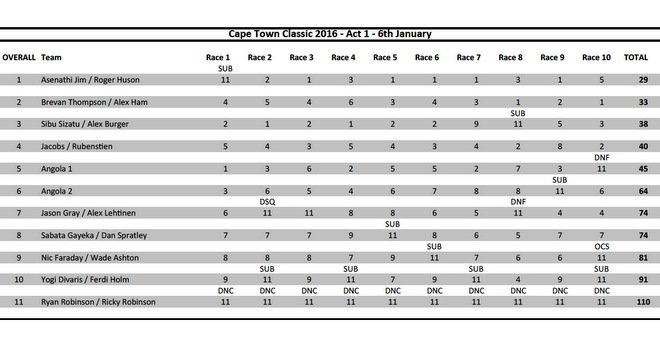 Three races are scheduled for Friday 15 January, with race 1 to start at 1100.